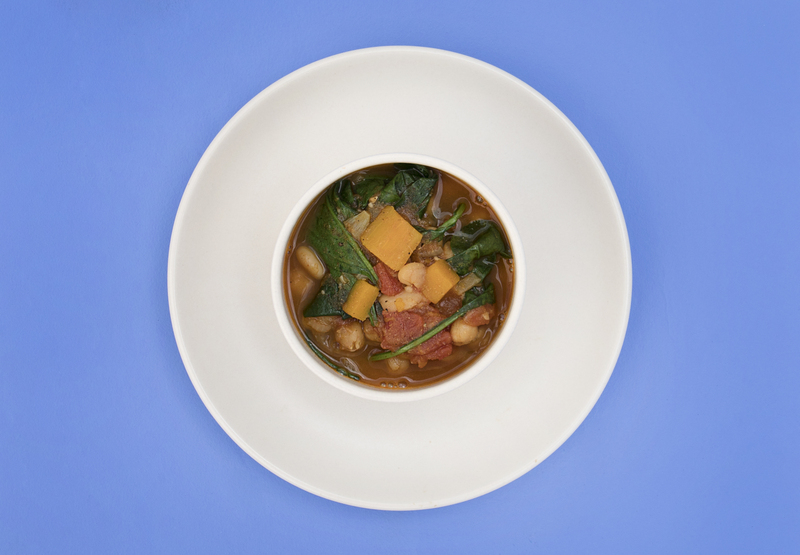 No matter what the weather, a good veggie stew is always in season. Whether it’s been a long day and you need something warm and comforting, or you’re just looking for another excuse to use your Instant Pot, this recipe is quick, easy and healthy. This recipe is packed with nutrient-dense veggies. Tomatoes are vitamin C and vitamin K-rich, and they also contain lycopene. Lycopene is a chemical compound that gives tomatoes their bright red color, and has antioxidant capabilities. Chickpeas are high in vitamin K, supporting a healthy heart, as well as folate and phosphorus. White beans add a plant-based protein boost, as well as loads of B vitamins. Butternut squash is a great source of vitamin E, which contributes to healthy skin, as well as loads of B vitamins, as well. 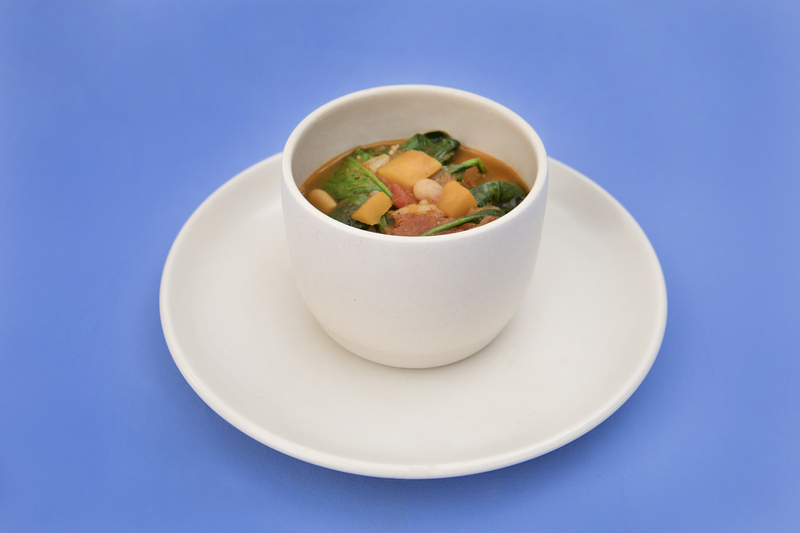 Lastly, spinach adds a hearty dose of vitamin A, vitamin K, folate and iron. YUM. Serve the stew with chunky pieces of veggies, or puree it in a blender if you want a smoother texture. If you’re giving it to your babe, you can strain the liquid out of the stew and just offer the delicious cooked vegetables. Want some extra protein? Shredded chicken makes the perfect protein-packed addition to this already-hearty stew. A quick, easy and nutritious excuse to use your Instant Pot. Place the Instant Pot on the sauté setting and add olive oil, onions and garlic. Sauté the onions and garlic until the onions are soft and translucent. Add in the curry powder, cinnamon, paprika, salt and pepper, and mix well to combine with the sautéed onions and garlic. Switch the Instant Pot from the sauté setting to STEW setting, and add in vegetable broth, diced tomatoes, chickpeas, white beans and butternut squash. Set the Instant Pot timer to 30 minutes and let the Instant Pot work it’s magic. Once the timer is done and the steam pressure has been released, open the lid on the Instant Pot and stir in the baby spinach. Serve immediately as is, or transfer to a blender if you prefer a totally smooth mixture.